Living With Money is hosted by Tim Mullooly. Started back in January of 2018, Living With Money was initially a site dedicated to the weekly podcast series published every Thursday morning. Tim interviews a handful of amazing guests ranging from small business owners, to bloggers, financial experts, and authors! This website is dedicated to serving the everyday individual. Whether it’s through the podcast, blog posts, or daily link roundups, Tim aims to help the everyday person make sense of their life – both financially and non-financially! The podcast, blog, and daily links will revolve around topics like personal finance, financial literacy, goal setting, investing, planning your life, living your life, and more! 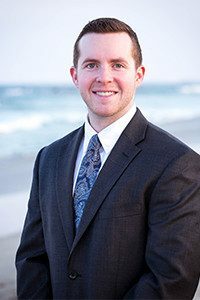 Tim is an investment advisor at Mullooly Asset Management, Inc. in Wall Township, NJ. A Deans List student, Tim received his Bachelors Degree in Business Administration from York College of Pennsylvania. During his time at York, Tim was the President of the Phi Kappa Psi fraternity chapter on campus. Tim began working at Mullooly Asset Management, and quickly jumped into the roll of social media coordinator. Apart from speaking with clients, and managing money, getting the firm seen all across the web is a primary goal for Tim. He runs the Facebook, Twitter, LinkedIn, YouTube pages and more! Tim coordinates the weekly videos, podcasts, and blog posts for the firm as well. In his free time, Tim likes to play drums, lift weights, play golf and root for the Mets and Jets. All opinions expessed by Tim, or any of his podcast guests, are solely their own opinion, and do not reflect the opinion of Mullooly Asset Management, Inc. Living With Money is for informational purposes only, and should not be relied upon for investment decisions. Clients of Mullooly Asset Management, Inc. may maintain positions in securities discussed in this podcast. For more information on Mullooly Asset Management, check out their website!